Dr. Strang entered Palmer College of Chiropractic in 1948 and graduated in 1951. He then became part of the faculty at Palmer and taught anatomy. In 1965 Dr. Strang was asked by Dr. Galen Price to work with him traveling and representing the college in Philosophy. Dr. Strang was Director of Admissions (1963-67), Director of Professional Ethics (1967), and Dean of Philosophy (from 1979 until his appointment as interim president in 1994). 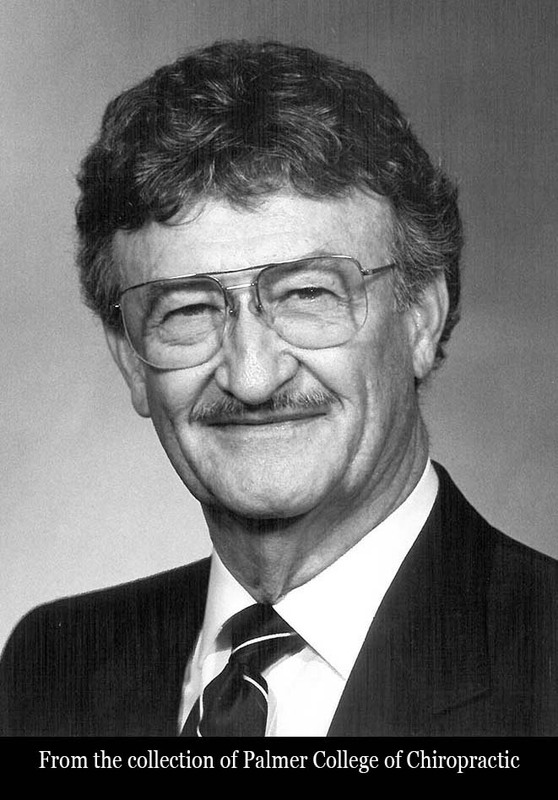 He was the 7th President of Palmer College of Chiropractic from 1994 until his death in 1998. 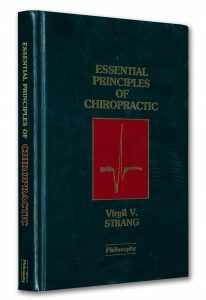 Dr. Strang had a private practice in Illinois for 47 years, starting in 1951. Dr. Strang authored a short biographical paper on the life of David Daniel Palmer. From the very beginning days of chiropractic, there was the realization within the profession that the mechanistic philosophy of the allopaths was obviously missing something; their philosophy simply was unable to account for the fact that all of life seems to possess an organizing, purposeful force. In an attempt to remedy the situation, D. D. Palmer used the exquisite phrases “Universal Intelligence” and “Innate Intelligence” to speak of the organizing force that pervades everything from the vast galaxies to the simple squamous cells of the epithelium. One must remember that D. D. Palmer was writing at a time when important mechanisms of neurology, homeostasis and genetics were still to be discovered. It was the age before scientific thinking was turned on its ear by the development of the concepts of energy and field in electro-magnetism, light, gravitation and the atom. As we will see shortly, there are today solid parallels in science which can allow us to assume with more confidence than ever that there is an overall organization in living matter which can be (and should be) accounted for by chiropractic philosophy. Instead of saying we know that “something” is there, but don’t ask us to explain it (e.g., “We have no way of knowing whether innate resides in the brain, in the body or outside of the body … ” 15 ) , we now can offer an explanation that has a better fit with what science is revealing in the laboratory. It is not the purpose of this philosophy book to choose one theory of subluxation over another. The truth is, all of the major theories of subluxation have their strengths and weaknesses! The problem with any theory is that it cannot account for all the varying conditions which can surround and engage the thing or event that it is attempting to explain. A theory is static while the actuality is dynamic. But still, we do need theories. A theory is an explanation of how an unknown works. If a theory becomes proven to the satisfaction of all concerned experts, then it is elevated to the status of a law. Many times chiropractic students express the desire to do away with “all of the conflicting theories” of chiropractic and simply, via research, “prove which one is really correct.” Well, there are problems with this approach. First of all, under the right circumstances, each of the major subluxation theories is probably correct. Each presents a portion of the whole picture; several theories are needed in order to see the subluxation in all its living forms. When we speak of the subluxation we must remember that it occurs in a dynamic spine in a dynamic and complex body. The variables are astronomical. To say that subluxations occur only by way of swollen discs, or proprioceptive insult, or rotational narrowing of the IVF, or whatever, is to needlessly weaken the considerable case for the subluxation. Secondly, students (who are understandably anxious to erase all uncertainty before entering practice) must remember that conflicting theories abound in all the hard sciences and health arts. Physiologists have disagreed for some time over the events responsible for the first heart sound. That disagreement has not kept M.D.’s from treating a discordant “Iub!” when they hear it. Similarly there are four theories of hearing. Page 843 of Krusen’s Handbook of Physical Medicine and Rehabilitation discusses the “place theory,” “frequency theory,” “volley theory,” and “traveling wave theory.” 20 The author notes, “the fact that four different explanations persist indicates the complexity of the process. The rehabilitator can use this perspective in approaching hearing impairment.” The same notion could be applied to subluxation theories. Their very plurality bespeaks the myriad nature of the subluxation. Likewise, the chiropractor can use this perspective in approaching neuroarticular impairment. We know that homeostasis involves negative feedback. We even know some of the mechanisms entailed. But this knowledge does not really touch the deeper mystery of how the body “thinks” physiologically: sensory information must be endlessly integrated and efferent activity determined. The stringing together of mechanisms cannot be expected to capture the overall reality of organic, dynamic activity. Classic mechanistic thinking is rooted in the notion that the parts explain the whole. This is true of mechanistic processes such as gearing or even electronic computing. But as Aristotle observed, nature is a world of purpose.1 In such a world, mechanisms are merely the instruments through which superimposing purposes work their wills. It is this marvelous, innate (inborn), purposeful nature which is the predominant, practical reality behind the mechanisms of homeostasis.